McCallum black Acetyl bagpipes have virtually the same sound quality as our Blackwood bagpipes and the drones have identical dimensions to the Blackwood range of McCallum Bagpipes. 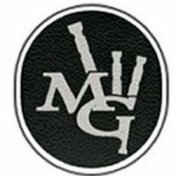 We have a great choice of very keenly priced bagpipes in the black Acetyl range. We have been asked many times for this type of bagpipe. They are popular as a starter set, but also as an instrument which can be used for long parades in all climates. They are virtually indestructible, the have even been played in Space ! so the worry of any cracks appearing in extreme heat or cold is removed. They are also very easy to clean and maintain, so are the ideal choice as a bagpipe that may be passed on from one band member to another, or one learner to another. Perfect as a starter set before you decide to invest in your particular style of Blackwood bagpipe.